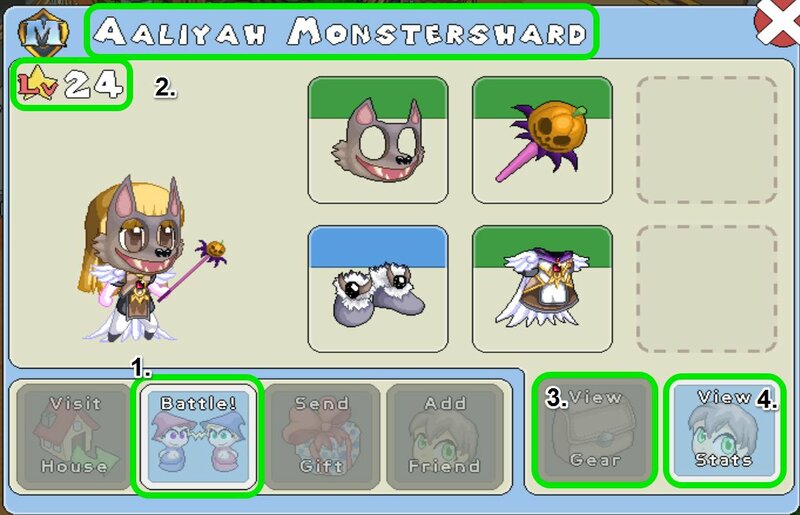 Prodigy Math Game Review – Short version – I gave money to a stranger on the internet for an upgrade to Prodigy Math game, a math program that I wasn’t initially a fan of and for something that I already had the free version of. 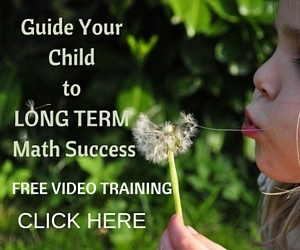 Long version – I use Life of Fred math with my home schooled 10 year old. He loves it but the delivery of our next book had been delayed. So I decided to use this as a chance to test some online math programs in the meantime. Prodigy Game being one of them. 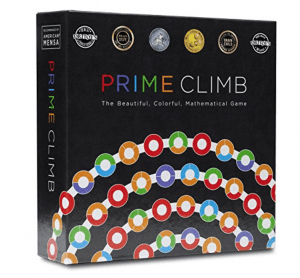 Read on for my Prodigy Math Game review! 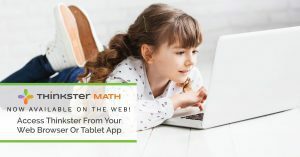 I’d heard others rave about Prodigy Math but I’m not usually a fan of gamified math, as often kids spend too much time playing inside the game and not enough time “mathing” OR kids just think the games are lame because the game play is not as good as whatever the latest big game studio thing is they like playing. After trying a few other programs – none of which impressed my son – I finally got round to setting him up on Prodigy Math. He spent 20 mins scoffing about how rubbish the gameplay was but then voluntarily came back to it later on in the day and played for another 30 mins, even tackling hated (for him) topics like long multiplication and decimal subtraction and learning new topics such as mean, mode and median. Each question has a built in hint which gives a brief explanation for how to solve that type of question but realistically students need to have studied the topic previously as the hints are brief and quite general or have a parent on hand to help them. The following day my son played for an hour and declared he needed the paid version. Now the full price is $8.99 a month paid monthly or $4.99 a month paid up front for the year. 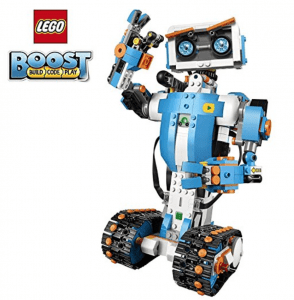 I’m happy to pay for educational stuff BUT I’ve also recently discovered the world of Group Buys – where a group of parents club together (usually on FB Groups) and get a discounted rate on a program. I’ve bought a few things in recent months this way (including a fab story app and a typing app). The Group Buy rate for Prodigy Game was $14 for the whole year. So my son complained about how he can’t believe I gave money to a stranger on the internet and that how he’s going to have wait at least another 8 days to get the upgrade which will get him more coins, armour, pets etc. however, despite this he approached another hour on the game that day. I was impressed! The gameplay is kitsch (think Pokemon) but is fast, smooth and addictive. The time spent on gaming compared to the time spent on the math is much better than on some other programs I’ve tried (Education City – I’m looking at you!) There are even You tube channels where you can watch kids doing Prodigy Game “Let’s play” videos complete with them solving math problems. What a time to be alive! On both the free and paid teacher versions you can assign specific topics for your child to work on using the Planner tool. This is a great way to reinforce topic that your child is working on at school or to revisit some of their weak spots from previous topics. With the planner you can choose to add questions on topics from the US, Canada or UK curriculum. Do you agree with my Prodigy Math Game Review? 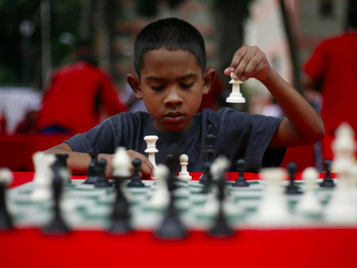 Has your child tried Prodigy Game? Let me know in the comments below. 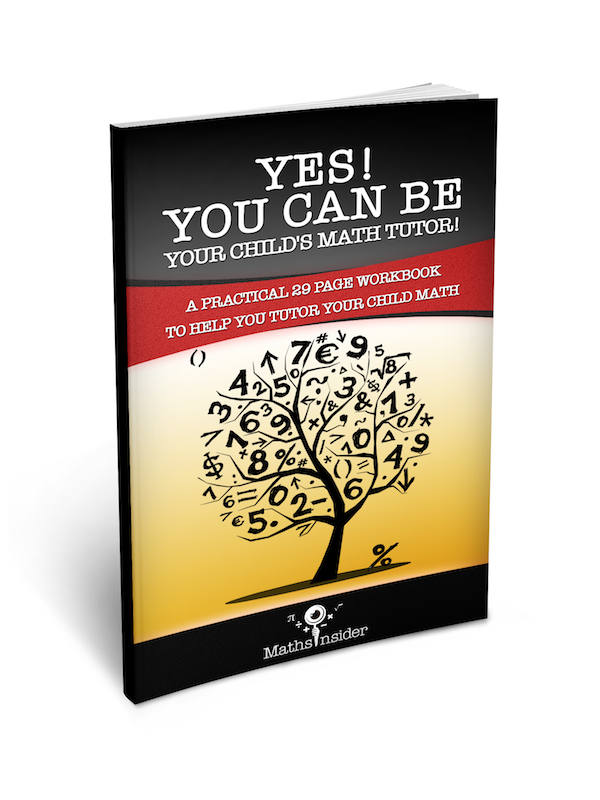 You’ve come to the realization that your child needs to do some extra math, whether because they’re struggling with the subject, they could do with some extra math practise or in order to get ahead, but you know your child will likely be resistant. 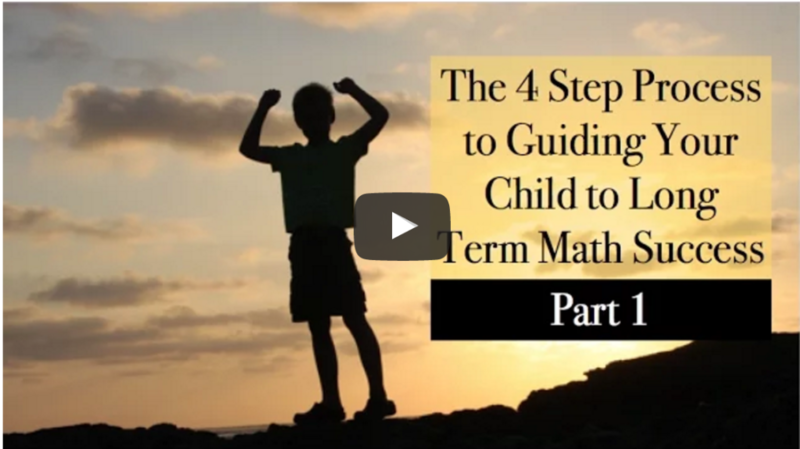 Find out how to overcome your child’s objections and encourage your child to do extra math using these 3 steps. The transcript of the video is below. Click here to watch the video on You Tube complete with subtitles. No. 1 is to seed the idea, so start talking to them about other children who are doing extra maths, “So, you know your friend X, they’ve started doing Kumon” or, “I heard from Y that the Thinkster Math (formerly Tabtor) program is very good” or, “I found this blog Maths Insider and it’s got some really cool ideas of how to get better at maths for kids.” So start seeding the idea and start mentioning it so that it’s not a complete shock for your child. What math resource do THEY want to use? No. 2 is when you decide that you are actually going to start your child doing extra maths, then get their feedback on what they want to do. 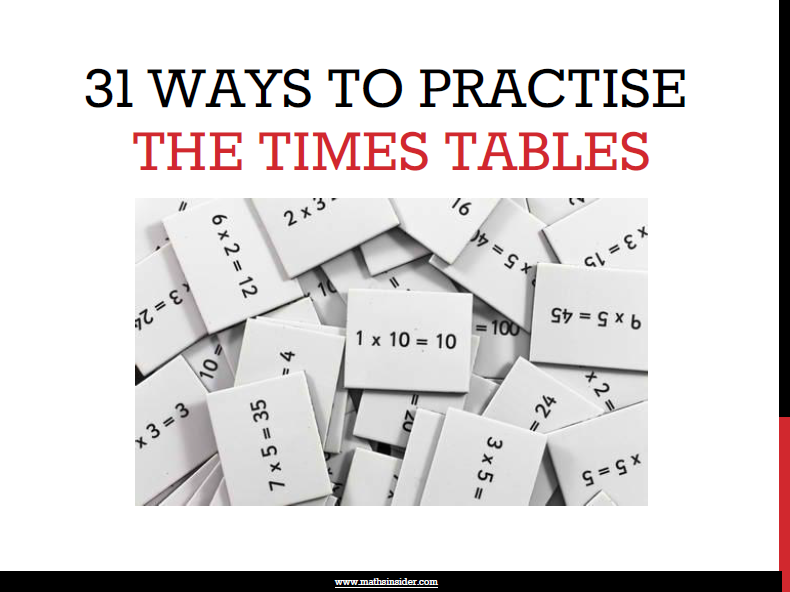 So say, “Would you prefer to do some extra maths on the app?”,” Do you want me to print out some games?”,” Do you want to just do some worksheets?”,” Do you just want to use a maths text book?” Ask them what they prefer or perhaps videos. So ask for their feedback, ask for their input so that they feel this is something that’s not just happening to them, something that they have to do, but something that they have some element of choice in. No. 3 is to fix a time, just try to fix a regular time and again get your child’s input on it, when do they want to do it? In the car on the way to school? Do they want to do it in the morning or after breakfast or during breakfast? Do they want to do it straight away after school? Do they want to go to a tuition center? Do they want to do something just before they go to bed? So ask them what do they think would work in their schedule and also what kind of time frame, so say to them, “Well, okay if you don’t want to do 5 minutes every day then perhaps it’s better that we do a half an hour on a Saturday morning or an hour every couple of weeks” and ask them what they prefer, a little and often or just big chunks of time. 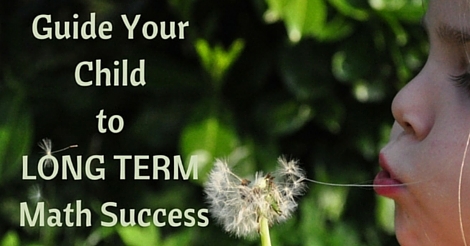 Well little and often actually works better, but some children do work better with big chunks of time. So ask them what they prefer. Number 1 is seed the ideas, so start talking about extra maths being something positive and it’s something that other children do. Number 2 ask them how they want to do the extra maths, whether they want to use books or apps, videos or whatever resources. 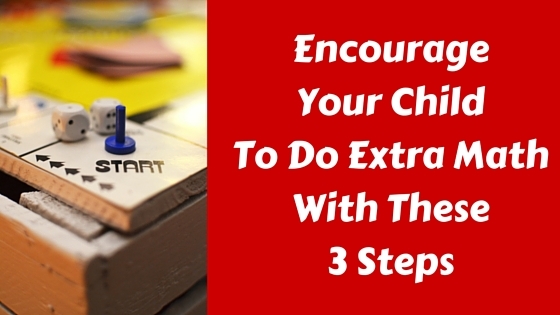 Number 3 is to get your child to help you fix a regular time to do the extra maths. 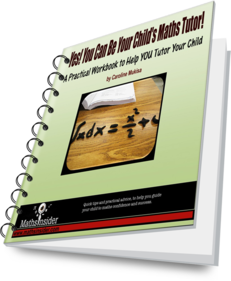 Yes it does make the preparation time twice as long and the mess – oh the mess, but kids love being all “grown-up” and helping in the kitchen and it’s a great time to highlight some maths. 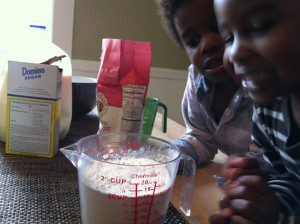 Just a few days ago we made a tasty Lemon Zucchini cake and my 5 year old insisted on knowing about the “half” measurements on the measuring jug. 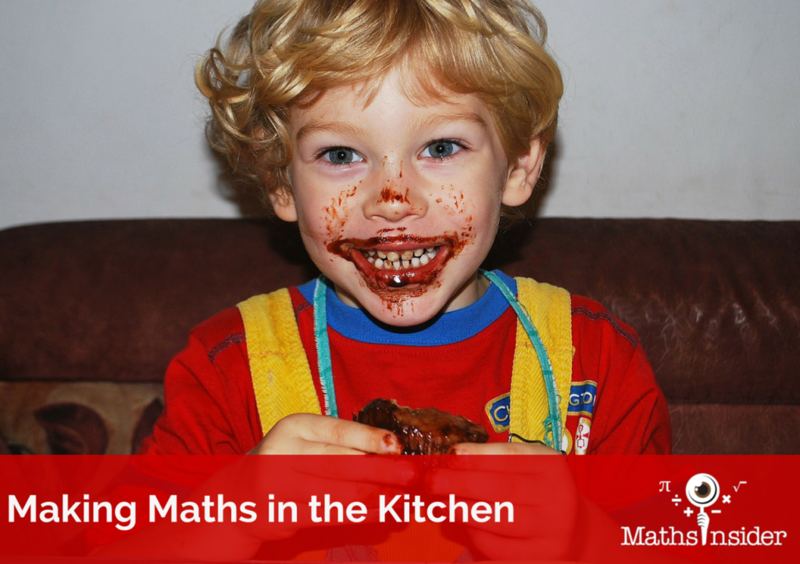 Give it a go and see what maths you can find in your kitchen! but is forced by law to buy it! 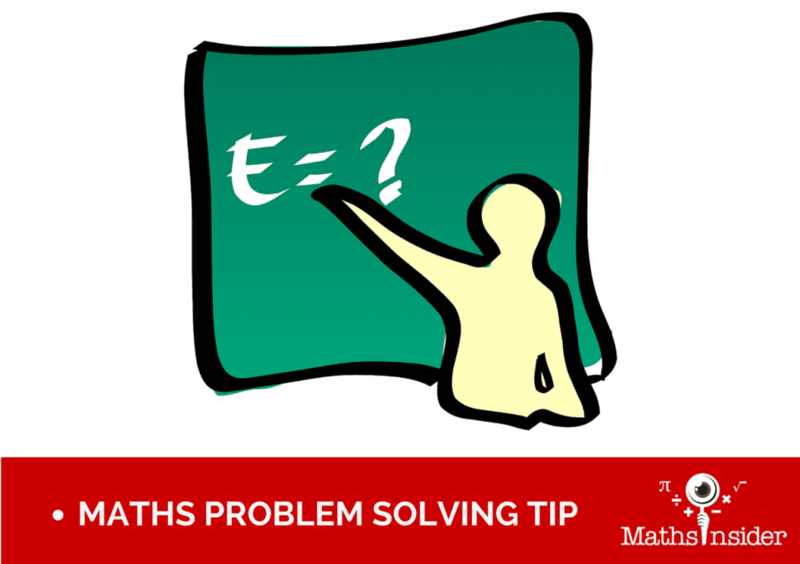 I’ve previously written about the importance of mental maths skills; being able to recall arithmetic facts with ease is an important life skill, but of equal, if not greater importance is the art of maths problem solving; taking a real life problem and turning it into a maths problem which can then either be solved, or at least an approximate answer worked out. 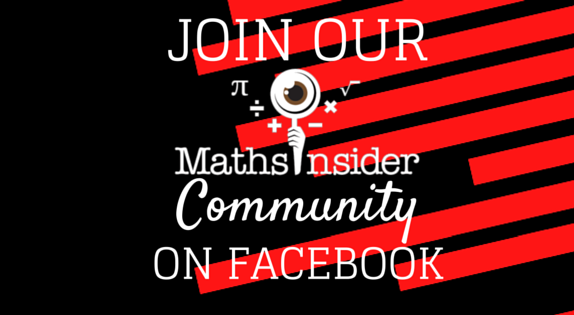 Mr Maths Insider is great at throwing out questions to our kids such as, “How can we work out how many atoms there are in the Universe”, questions where the process of working out the answer is more important than the answer itself, and where the relevance of maths can be more easily seen. Dan Meyer has lots of great stripped down maths problems on his website, they are great but are mainly designed for maths teachers to use in class. 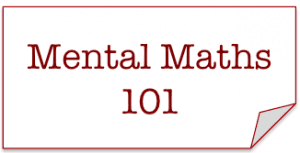 Grab any maths book or maths website which has maths problem solving questions. what maths is needed to solve it. Don’t work out the answer. Move on to the next question. 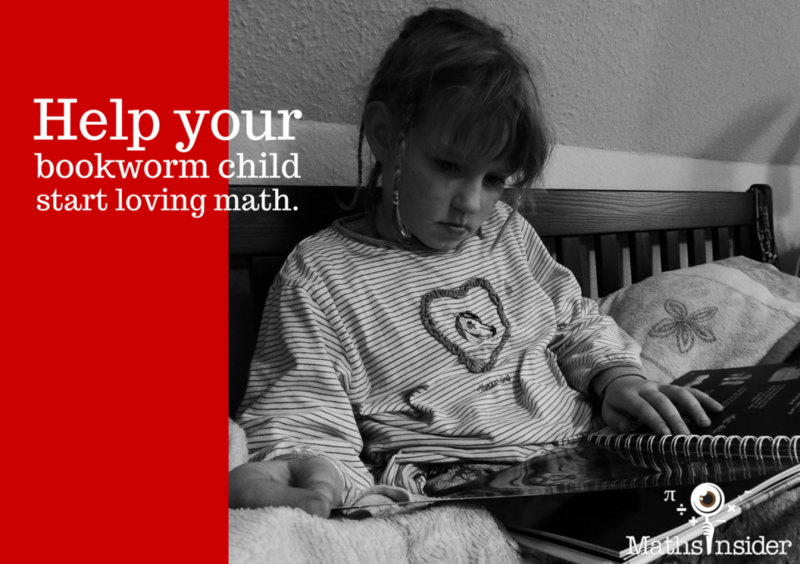 Here we’re trying to separate the problem solving aspect from the arithmetic aspect which allows your child to focus on the art of problem solving. Repeat daily or weekly as time allows. 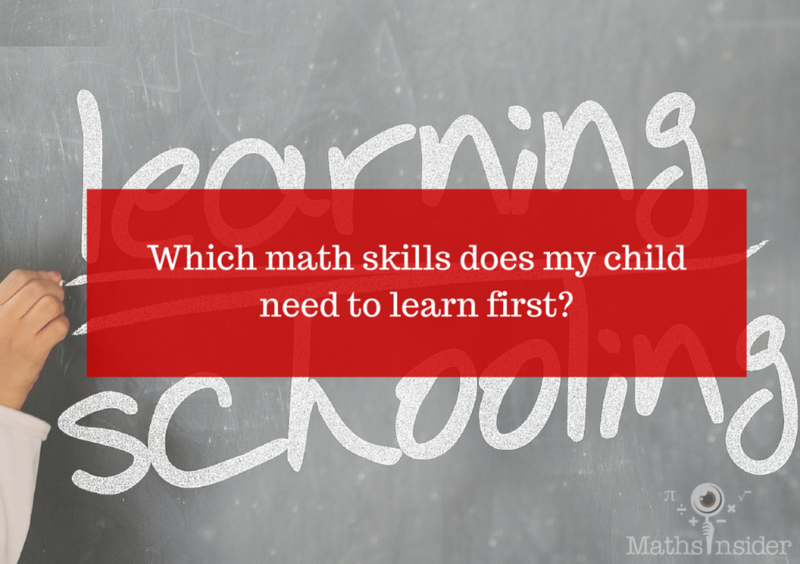 Tell me your ideas to help your child improve their maths problem solving skills! 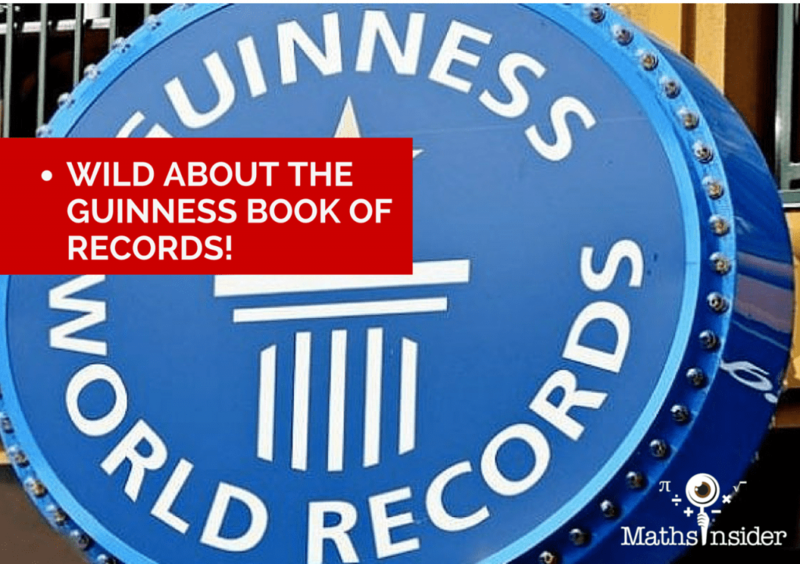 Wild About The Guinness Book of Records! First, have a look at the questions, try to work out as many as you can, then check your answers below! Try this one – I managed 2 letters per second. I wonder how big the pieces are on this? The ratio of height to arm span is usually around 1, it’s the ratio between arm span and arm length which is around 1.6, the golden ratio. Try this one! What is your favourite “maths book”?